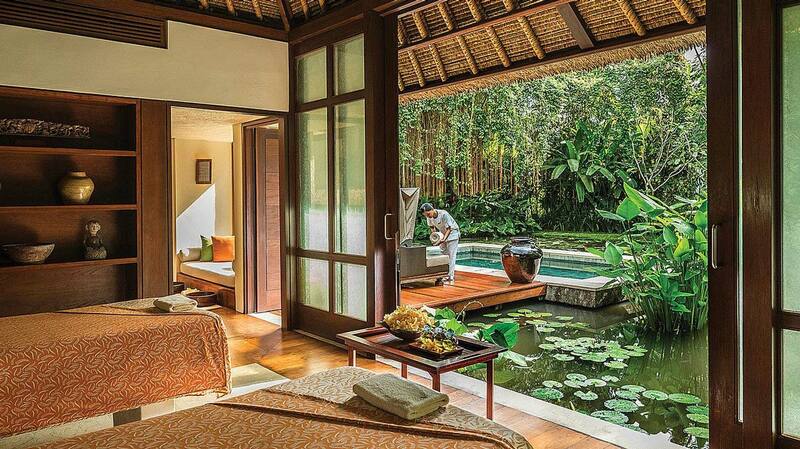 Ubud may be a draw for visitors due to its unique cultural status – but its rising fame owes no small part to the picturesque hotels in Ubud. 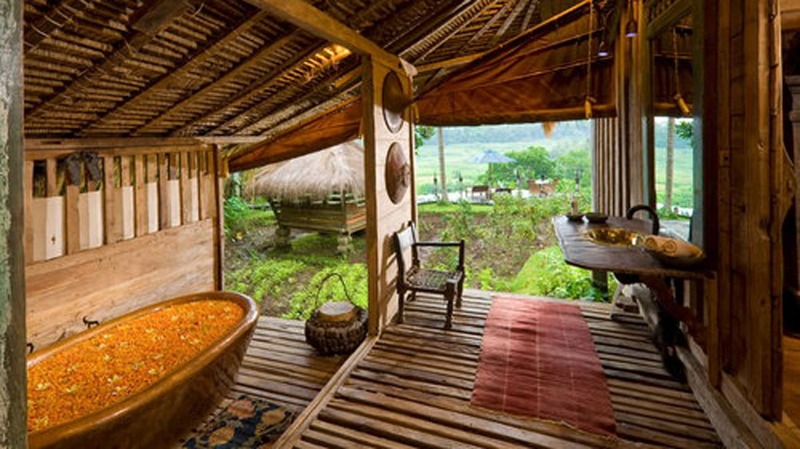 This means the question of where to stay in Ubud is not an easy riddle to solve. Its many hotels look out over sumptuous valley scenery, rice paddies, and sumptuous pools – and are iconic in their own right. 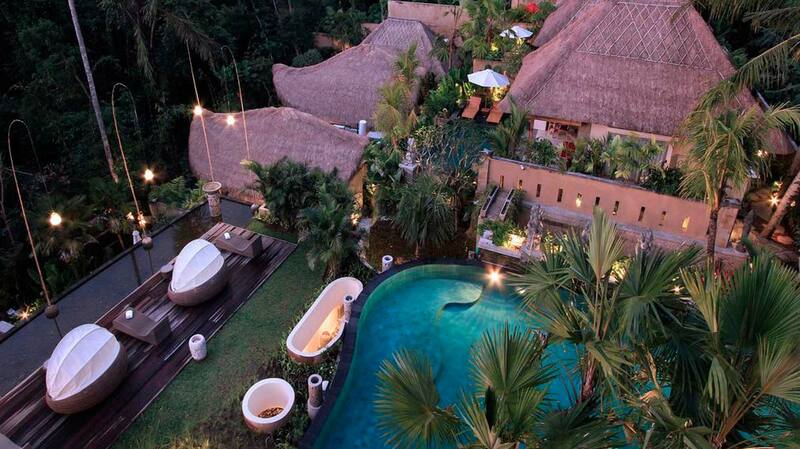 That said, with so much to choose from, the issue of where to stay in Ubud ought not stress you out. Fear not, as below, we’ve compiled choices to suit all budget. 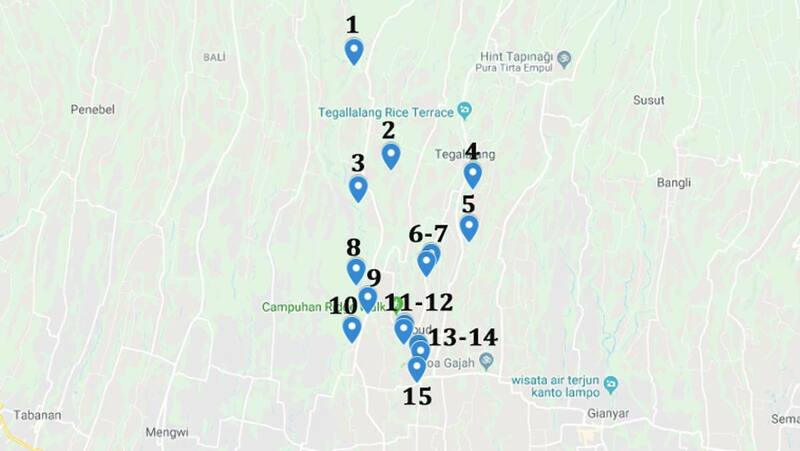 If you are trying to understand where to stay in Ubud in terms of location, the center has its pros and cons. 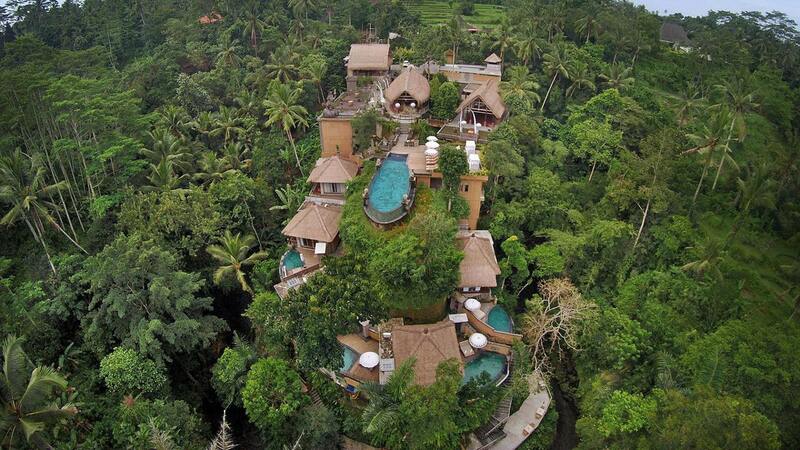 Ubud itself can be rather chaotic and a far cry from the photos associated with it. So if you seek the zen hotels that have made the island famous, then you may want to head a little further out. On the other hand, if you want a little more excitement, then the center has you covered. So it depends on your expectations. 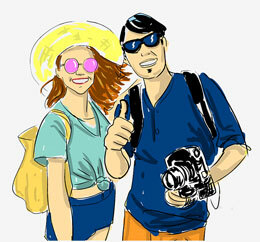 Before you plan anything, definitely make sure you check out Everything About Bali – Budget & Travel & Honeymoon Info, full of great tips on when to go, for how long, where to stay, what to look out for, and other crucial tips. 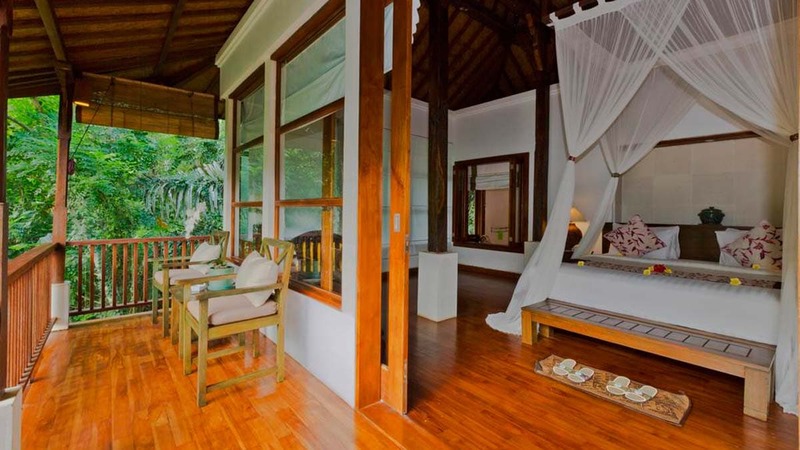 The following option for where to stay in Ubud are listed in order of budget size. 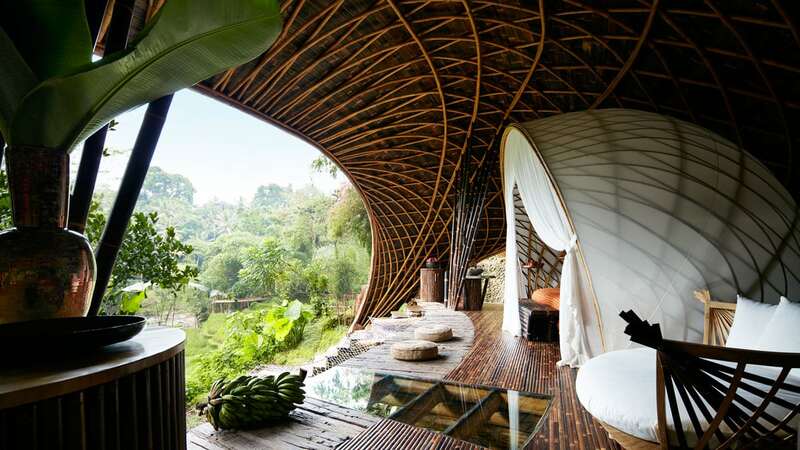 The Bambu Indah is located just 20 minutes from the center of Ubud and is probably the most special hotel in Ubud – if not Bali. 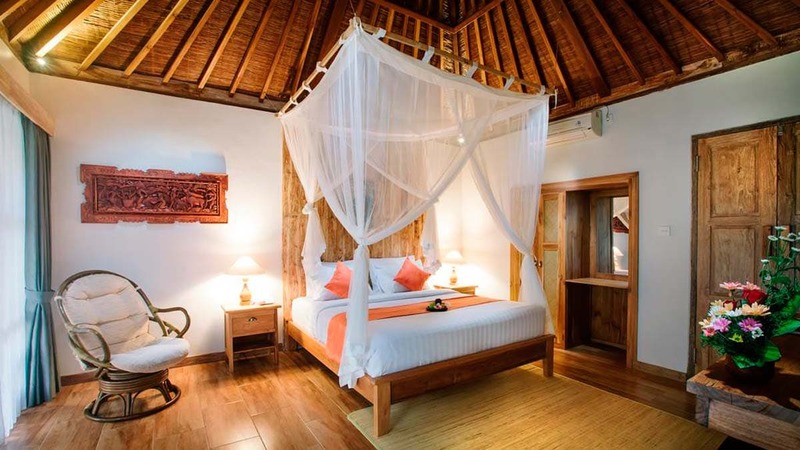 Designed by the famous Ibuku Design company – known for their use of all-natural materials in various projects around the island – the Bambu Indah represents a sophisticated twist on traditional Balinese architectural style. Each home is uniquely designed with everything from the gardens to the pool 100% natural. 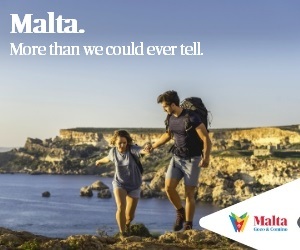 But watch out, as it’s no good to make sure you book months in advance, you may have to book an entire year! The hotel also arranges yoga classes and airport transfer as you like. Afternoon tea is served every day, while the restaurant serves organic Balinese and traditional Indonesian dishes straight to your villa every day. The food is worth trying out even if you are not a guest here. Click here for more details and booking information. 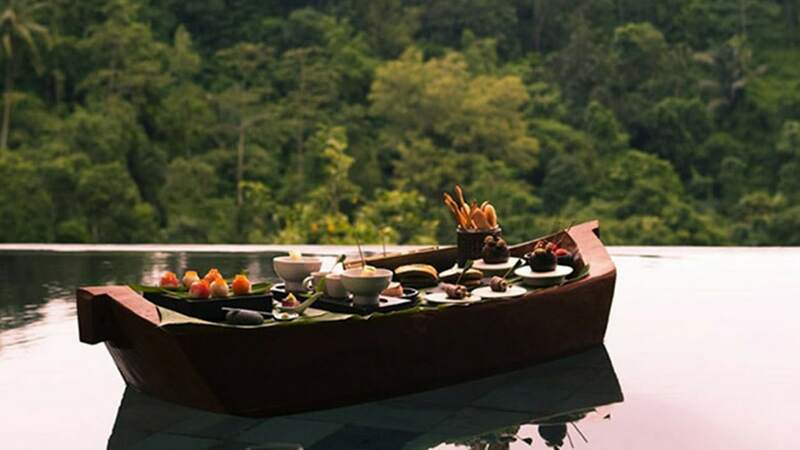 Located just 10 minutes from the center of Ubud, the Komaneka at Bisma is a luxury hotel set in a five-hectare grounds surrounded by exotic rainforest and offering views of the River Campuhan, coconut groves, and rice paddies. 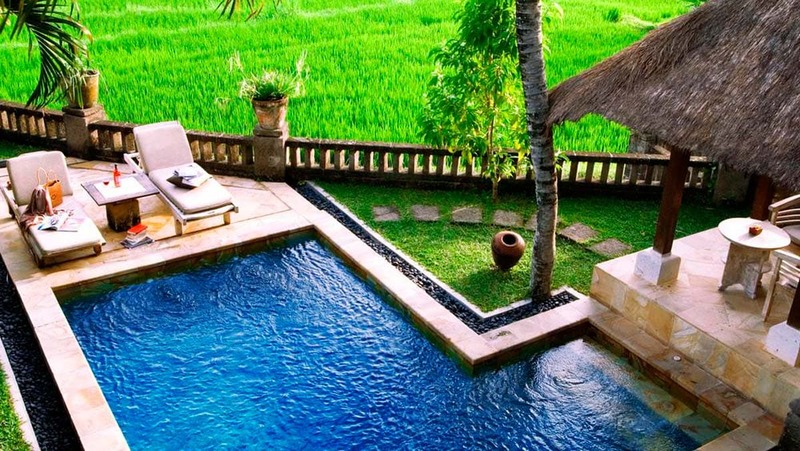 The hotel has its own iconic 33 meter infinity pool and rice terrace. The balconies of the suite rooms are spacious, while the two-bed rooms and pool suites are better suited for families and small groups. The northern tier of the resort also has its own luxury residence. 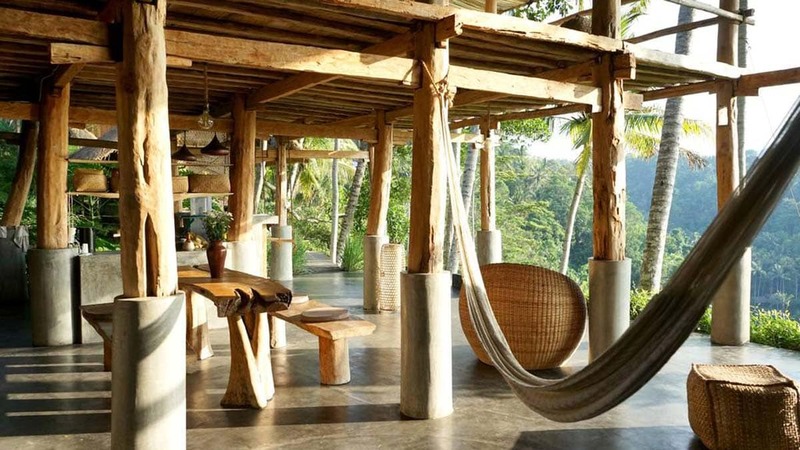 So if where to stay in Ubud is a question of where best to relax, look no further. Airport transfer is also available. Click here for more details and reservation information. 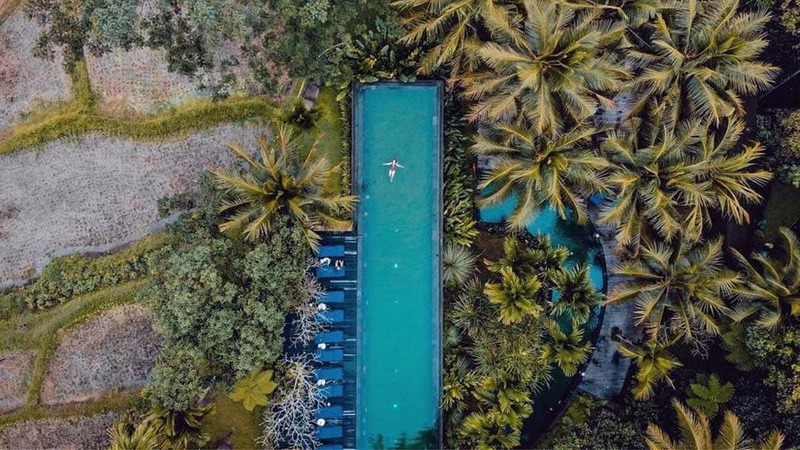 If you’re looking for where to stay in Ubud, and luxury is at the top of your list of demands, then look no further than the Four Seasons Hotel. Just 10 minutes from the Ubud Palace, Ubud Art Market, and the Monkey Forest, this gigantic, 60-room complex makes up a veritable tourist temple located among Ubud’s Ayung Valley. Travel & Leisure magazine rate this the world’s number one hotel. Each villa is adorned in dark teak and Indonesian stone and many of the villas boast a private pool and outdoor living rooms. The restaurant boasts numerous modern Indonesian dishes, while the Jati Bar serves refreshing, passionflower Martinis. Simply put, this is a once in a lifetime experience. Click here for more details and booking information. 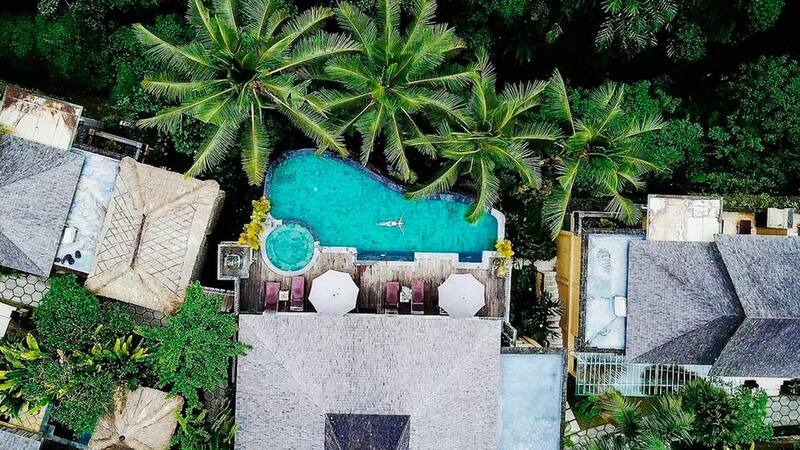 The Kayon Resort is a 5-star hotel located 10-minute drive from Ubud Palace and 15 minutes from the Monkey Forest in the midst of Ubud’s tropical rainforests, overlooking the historical Petanu River. The hotel has six rooms overlooking the valley, twelve overlooking the river, and five private villas with their own pool. The resort is set among beautiful gardens full of indigenous island trees flora. The hotel arranges floating breakfasts and airport transfer. Free yoga classes are available every morning and there are paddy field tours, and evening happy hours. Click here for more details and booking information. A 15 minute drive from Ubud center on the banks of the Ayung River, Alila Ubud’s best feature is no doubt its infinity pool and spa area. In fact, this is one of four Alila hotels on the island, each of which offers destination-based holiday experiences. 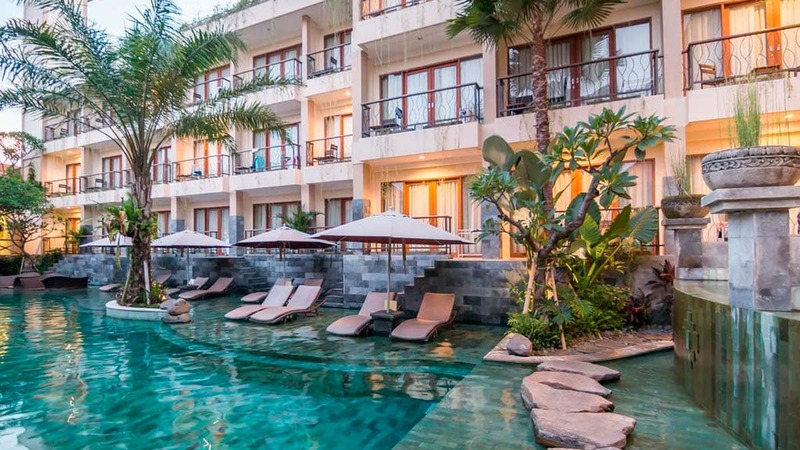 But the facilities on offer aren’t limited to the hotel grounds, as the management arrange guided tours around Bali, allowing you to get to know the island, and discover areas off the beaten track. The hotel provides guests with free tai chi and yoga sessions and runs daily activities including hiking and bike tours, an deven has its own art gallery well worth a look. 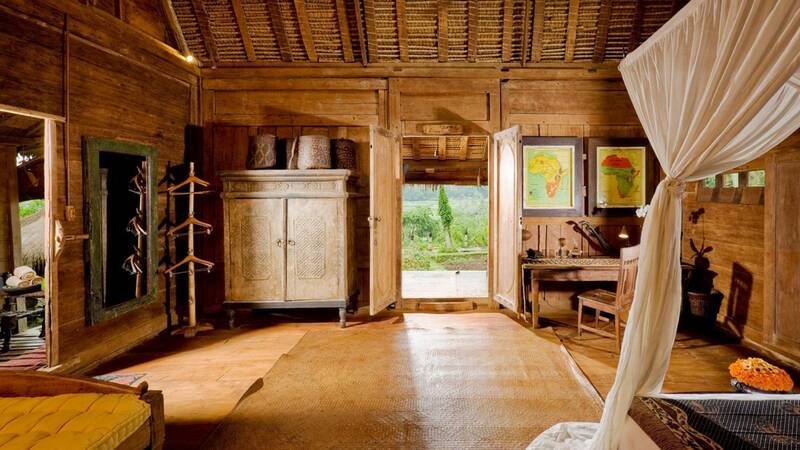 The Plantation Dining Restaurant, meanwhile, serves a host of authentic Balinese and modern French cuisine. 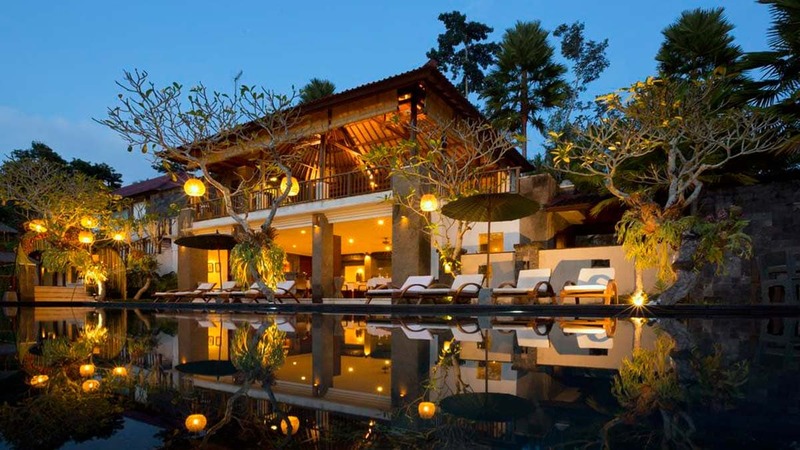 The hotel provides transfers to Ubud center and airport. Click here for more details and reservation information. 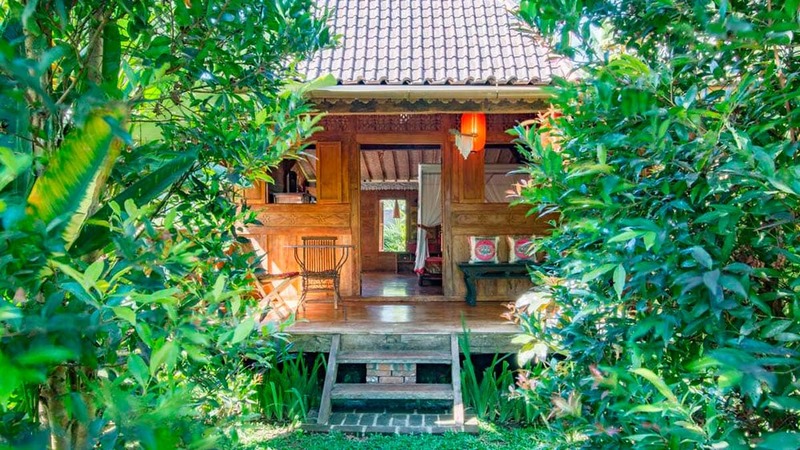 Zen Hideway is an Airbnb rental 20 minutes from the center of Ubud along the banks of the Ayung River and is a home crafted in Japanese style using 150 year-old teak. 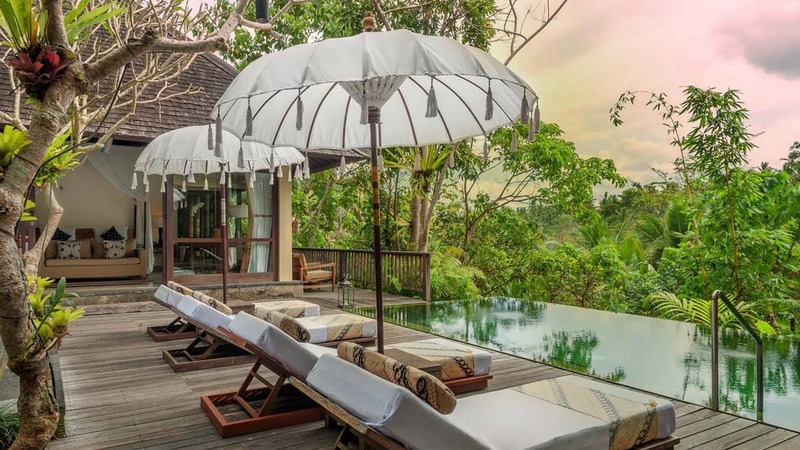 The home holds a commanding view of the river, as well as the valley, a waterfall, rice paddies, and Mount Agung – not to mention a plethora of lush vegetation. 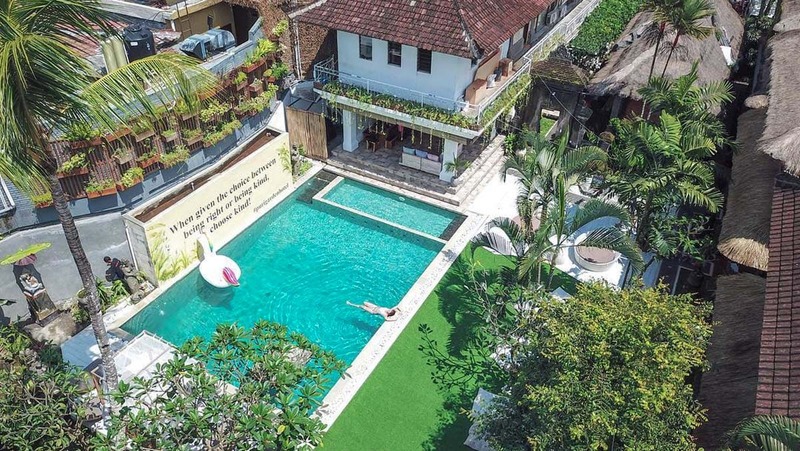 This two-floor home, located far away from the commotion of Bali’s urban areas, is attended by cleaning staff six days per week, leaving the rest to you. Don’t expect any more in the way of service, but expect a lot of privacy. Click for more details and reservation information. 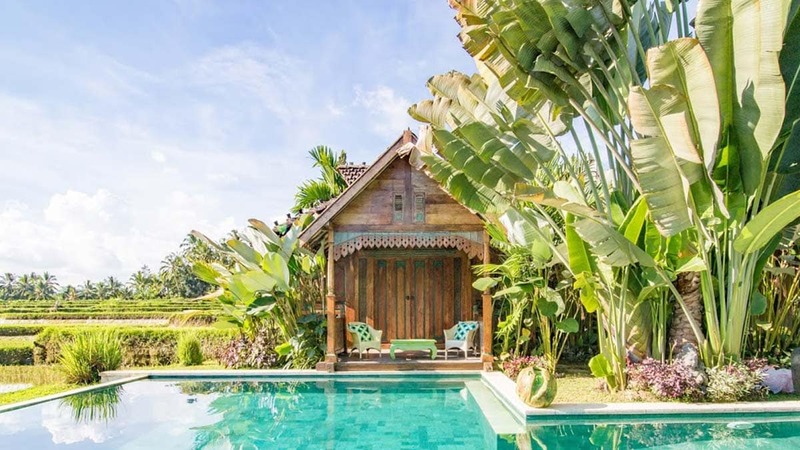 Wapa di Ume are nine Lanai-style homes each with their own private pool located around 2 kilometers from Ubud Market and the Ubud Palace. 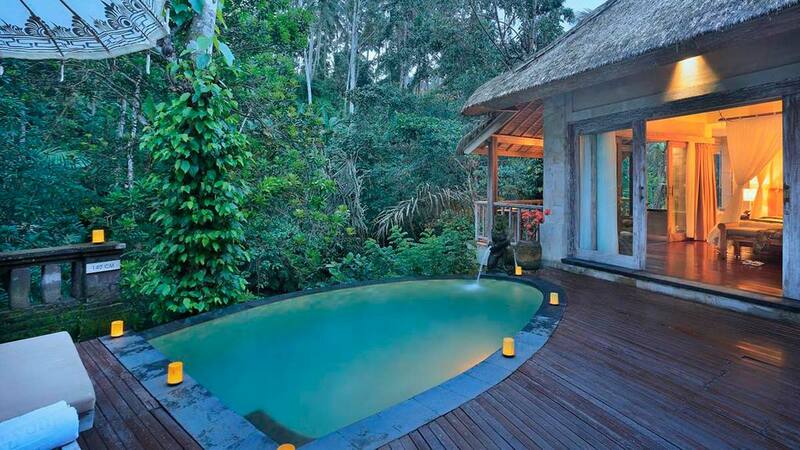 Each villa holds sumptuous views of the surrounding paddy fields and has bathrooms kitted out with in-floor baths. The hotel can arrange Bali massages, cooking classes, yoga sessions, as well as airport transfer. Click here for more details and reservation information. 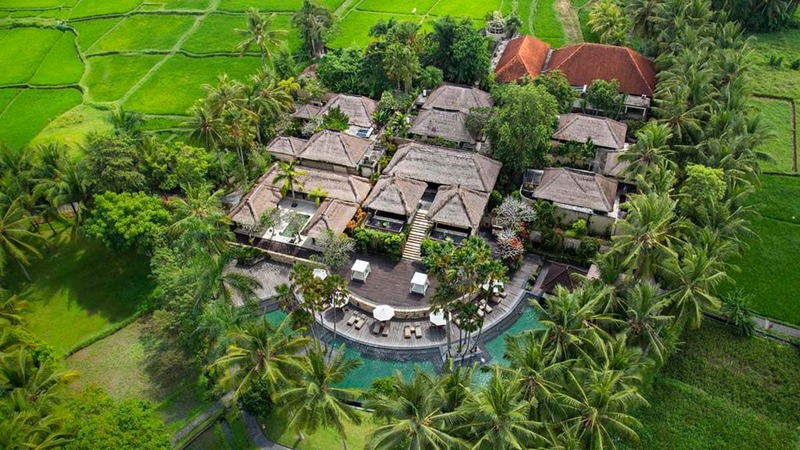 Ubud Village Resort & Spa is situated among the rice paddies of the village of Pengosekan, 2.6 kilometers from the Ubud Palace and Ubud Market. 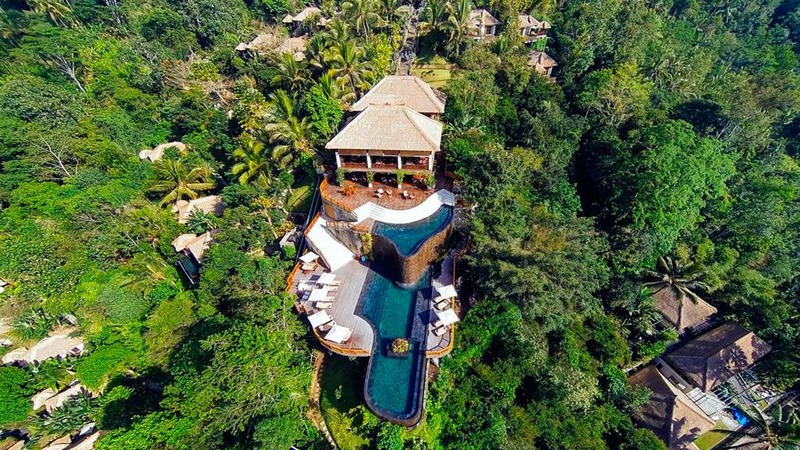 The hotel is made up of a number of villas each with their own pools and cedar verandas and is also just 10 minutes from the Monkey Forest. The restaurant offers a range of Balinese specialities to sample. The management can provide airport transfer. Click here for details and reservations. 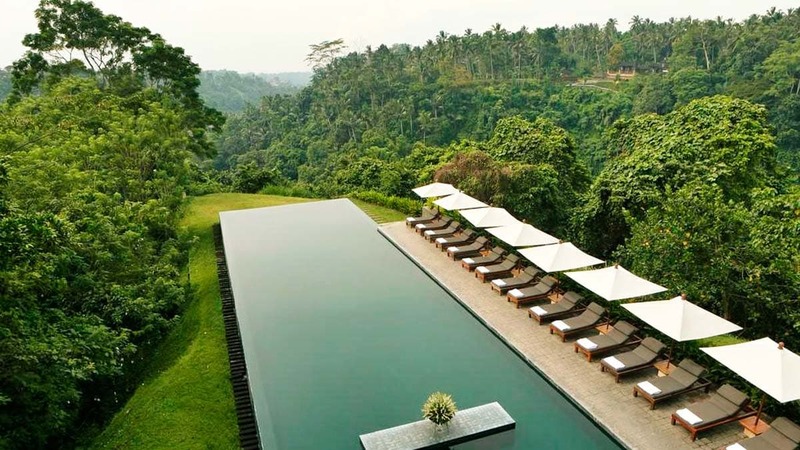 The Alam Ubud Culture Villa & Residence is a villa complex with commanding views of the jungle and river valley situated on a hillside just outside the village of Tegallaland a 17-minute drive from the Ubud Palace. Guests can benefit from the spa facilities or the regular yoga classes available. The restaurant is a great place to sample Asian and European dishes overlooking the tropical scenery. Airport transfer is available. Click here for details and booking information. 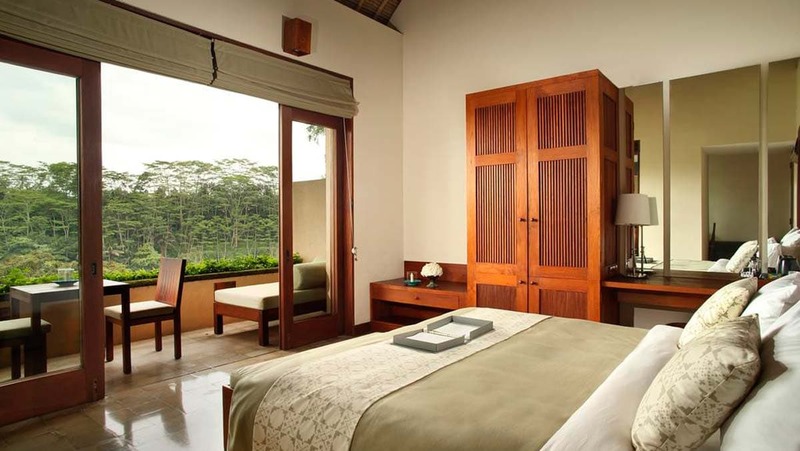 The Anumana Ubud Hotel, located five minutes from the Monkey Forest, has 39 various rooms to choose from. The Superior suits on the lower floor grant direct access onto the central lagoon pool, while the top floor rooms are complete with their own balconies. The deluxe and suite rooms are far more expansive and luxurious. The hotel restaurant serves up an a la carte breakfast and a choice of international dishes. The hotel has one shared more. Airport transfer is available for an extra fee. Click here for more details and booking information. 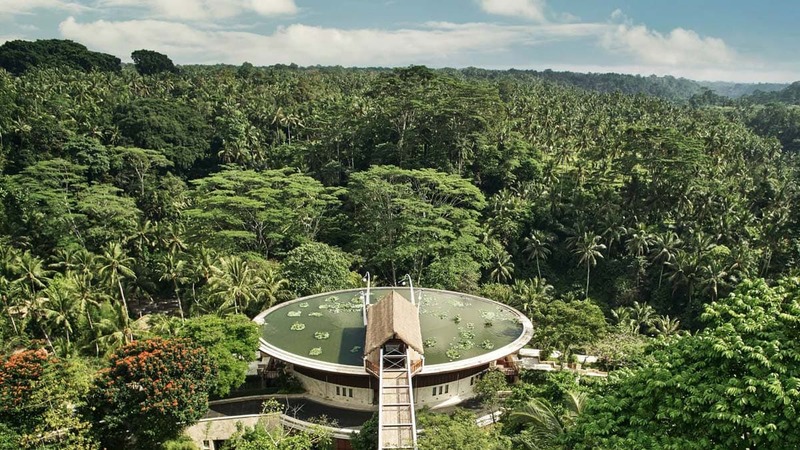 The Udaya Resorts and Spa is located among lush vegetation 2.3 kilometers from Ubud Palace and Ubud Market and 3.5 kilometers from the Ubud Monkey Forest and is made up of suite rooms and stand-alone villas with their own pools. 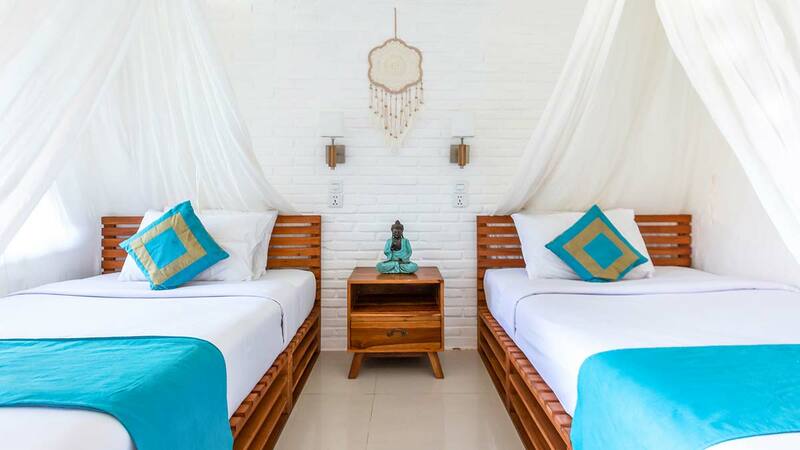 For an extra fee, the hotel arranges yoga classes, and bike and walking tours, making it a place where to stay in Ubud means more than lounging by the pool. The restaurant serves a host of Balinese and Indonesian food. Plus, afternoon tea is available every day. The hotel offers airport transfer. Click here for more details and reservations. The Puri Garden on Ubud’s central Pengosekan Street is both a hotel and hostel with a clientele of mostly young guests. The hotel offers 23 rooms, 4 of which are equipped with bunks for hostel stay-overs. 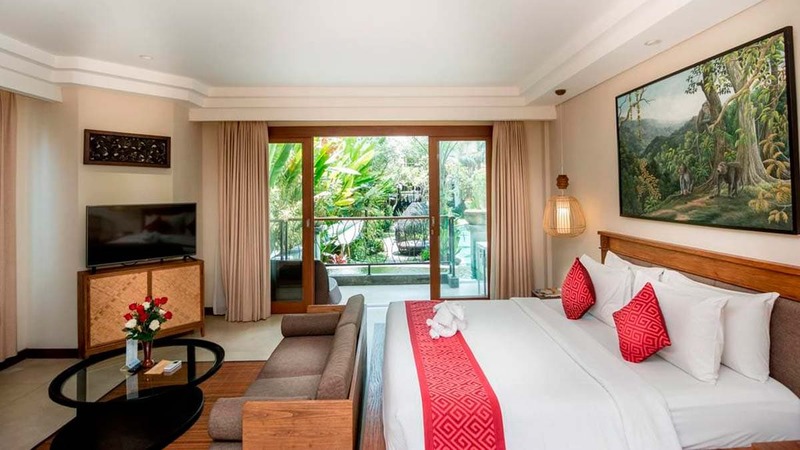 So if where to stay in Ubud means finding the most relaxed, but cheap and easy place, then consider the Gardens There is a lockable cupboard available for each bed in the latter, while the private rooms benefit from their own balconies and bathrooms. The hotel has a garden with a pool and hammocks. Breakfast ranges from Indonesian to Continental options. On certain days, the hotel organizes live music and barbecues, as well as evening happy hours. Airport transfer is available for an extra fee. Click here for more details and bookings. 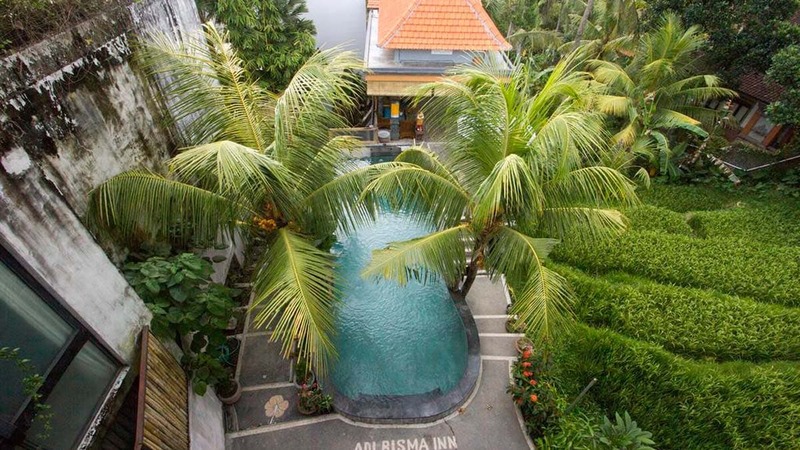 The Adi Bisma Inn is located in central Ubud a kilometer from the Ubud Palace and Ubud Market and has a number of rooms overlooking beautiful gardens. 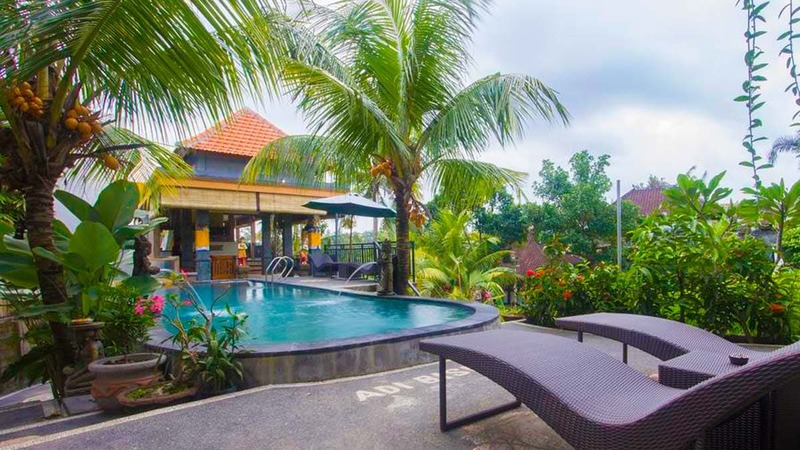 If you want to know where to stay in Ubud that is clean, cheap, handily-located and simple, then this is ideal. The hotel has a single, communal pool, and offers English breakfasts and spa services and airport transfer for an extra fee. Click for more details and booking information. 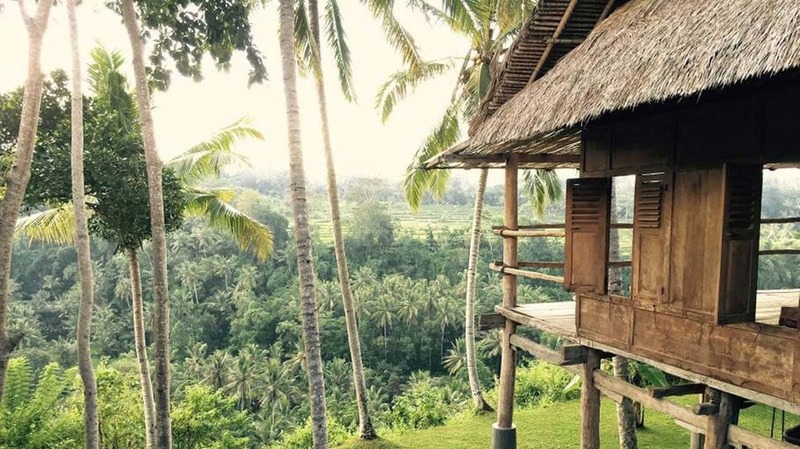 Among the paddy fields and natural beauty of the village of Kelusa, 20 minutes from the centre of Ubud, lies the Hati Padi Cottages, a facility with a number of bungalows to rent. The hotel offers airport transfer and has a communal pool and a restaurant serving Asian, Western, and Indonesian cuisine. Click here for more details and booking information. 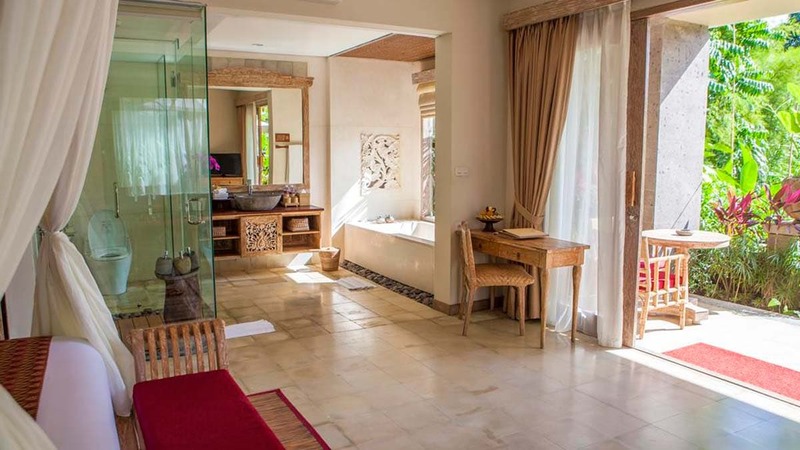 1.9 kilometers from Ubud Market and 3.1 kilometers from Ubud Monkey Forests, the Bije Suite Villas offers two types of accommodation harmonizing traditional Balinese and modern styles. This is where to stay in Ubud if you seek an authentic touch, basically. There is one villa with a private pool and another series of suites with a communal pool. The hotel offers airport transfer, and for an extra fee will arrange bike tours, walking trips, and cooking classes. The hotel has its own restaurant with a range of Indonesian and Asian cuisine. Click here for details and booking information.